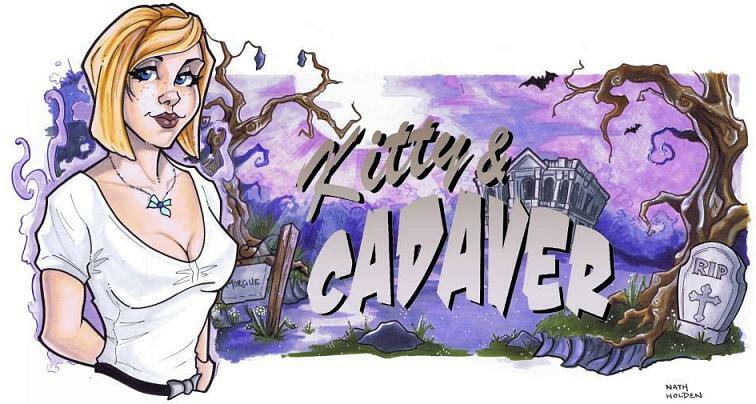 Kitty and Cadaver began life in 2014 as a multimedia online novel. 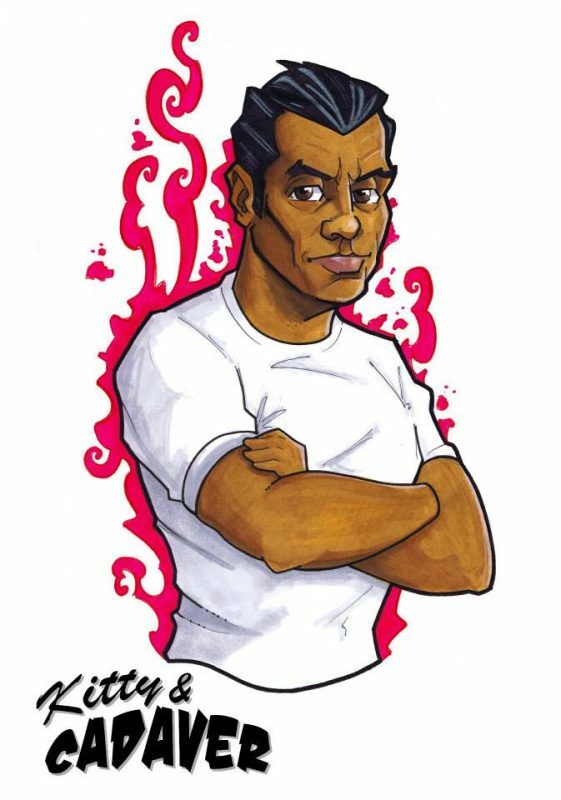 It was born from my love of stories in which rock and roll saves the world from monsters! Never finding enough of them, I decided to write one of my own. 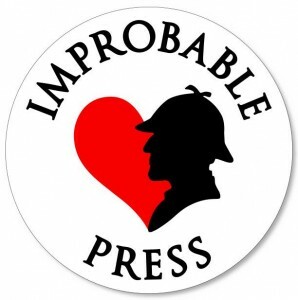 I’m delighted to announce that the novel, which has recently undergone some rewriting, has found a home with Clan Destine Press. 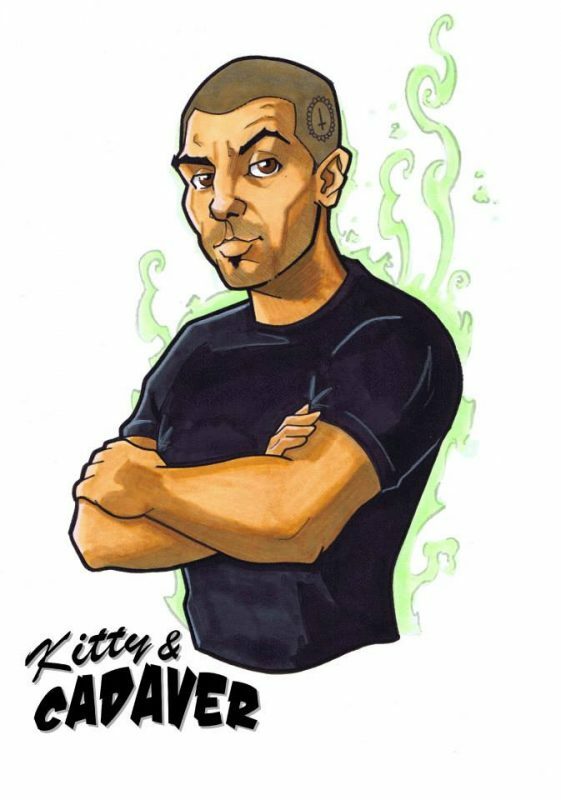 Kitty and Cadaver is a book about a band with a 700 year history, which uses music as magic to fight monsters and restore the balance. 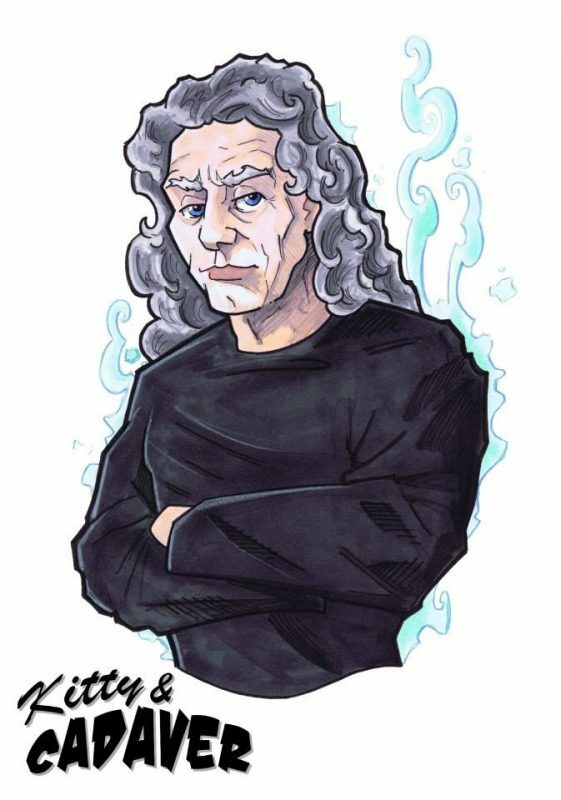 A short story showing how the band’s long history began back in 1258 – Hoorfrost – will appear in my upcoming short story collection, Scar Tissue and Other Stories. Naturally, when writing a story about music used as magic to defeat the dark, I soon determined that I’d have to write songs to go with the story. 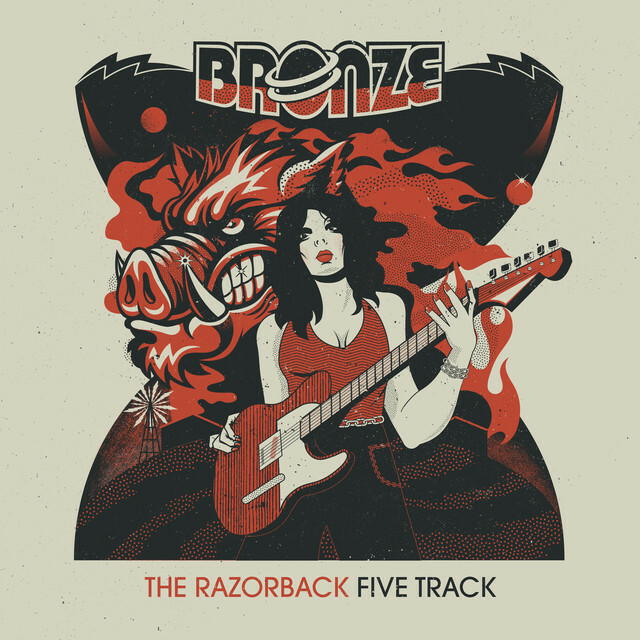 One of them, Rain Song, was recorded by Jess Harris and her band Bronze! 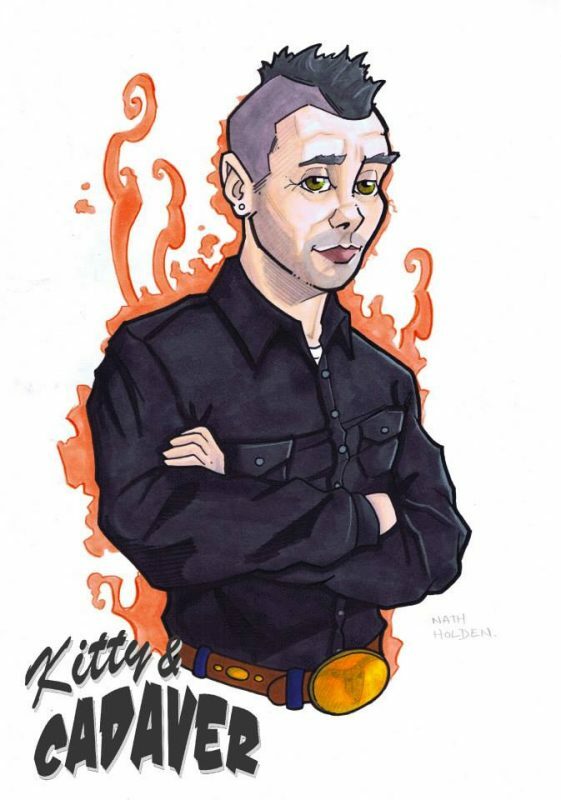 Early artwork in the project phase was done by Nath Holden, who is now a super successful tattoo artist! Here’s a peek, though new cover art will be commissioned for the Clan Destine Release. 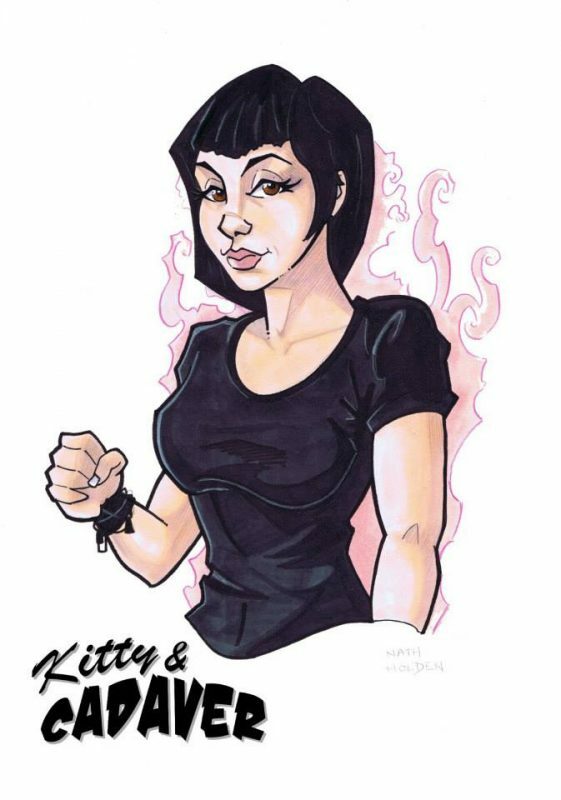 We’re hoping to have Kitty and Cadaver available for a launch at Continuum 15 – and to have Jess Harris there to sing Rain Song live!